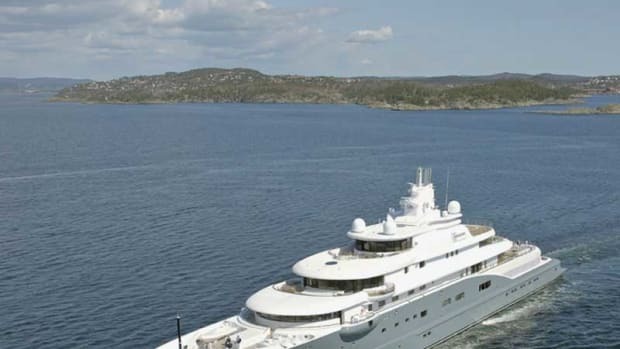 When Carinthia VII emerged from the Lürssen shipyard in 2002, little was known about the newest born in a line of yachts by the same name. 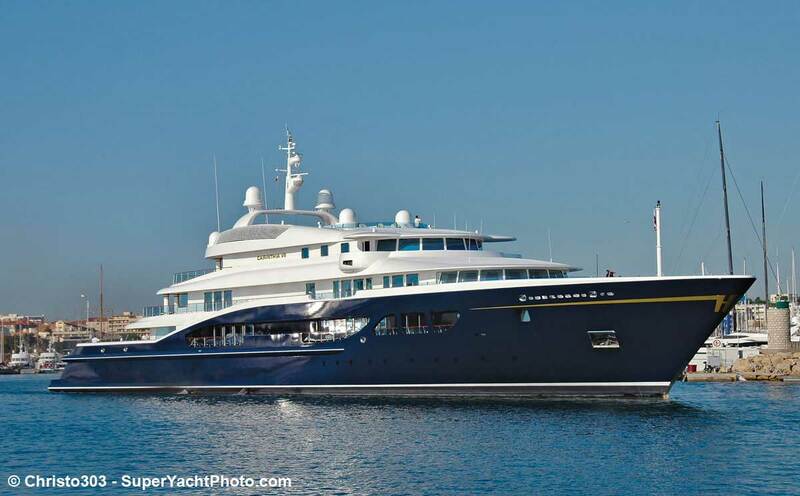 Designer Tim Heywood styled the yacht, and she bears some resemblance to Carinthia VI, designed by Jon Bannenberg nearly 30 years earlier. 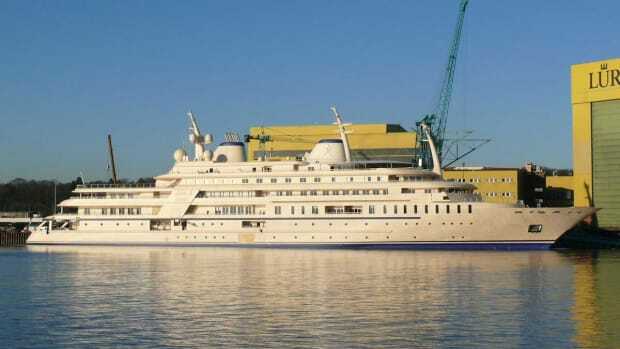 When Carinthia VII emerged from the Lürssen shipyard in 2002, little was known about the newest born in a line of yachts by the same name. 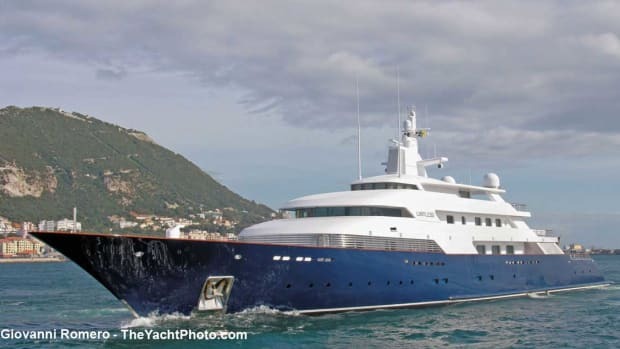 Designer Tim Heywood styled the yacht, and she bears some resemblance to Carinthia VI, designed by Jon Bannenberg nearly 30 years earlier. 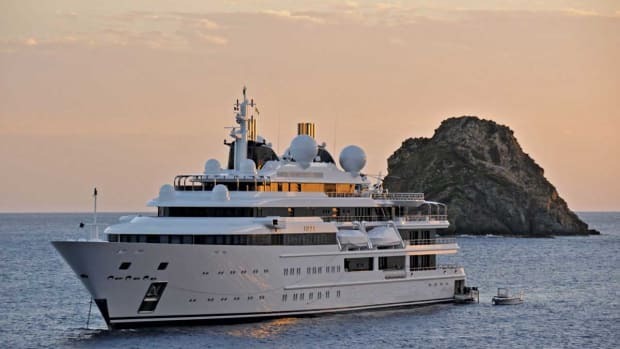 Although the yacht has received numerous accolades, including a Superyacht Society design award, her interior layout and design remain largely a matter of speculation. 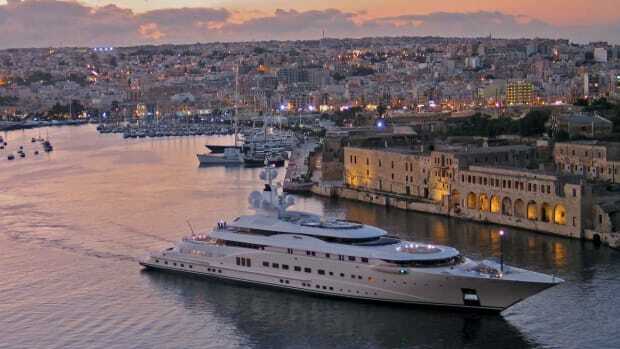 Visible on the lower deck, two large garages house tenders that look like miniature replicas of the mother ship and an aft garage door opens to dispense a Bentley for onshore excursions. 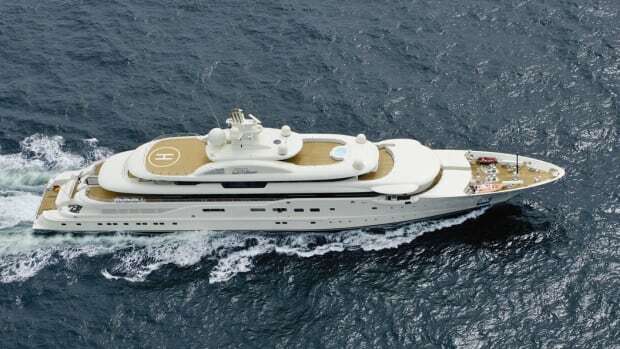 A helipad perched on the prow allows for more discreet arrivals and departures by her owner, Austrian billionaire Heidi Horten, heir to the Horten retail fortune. 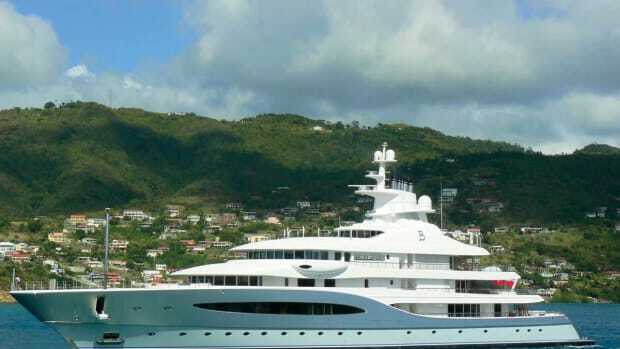 Forbes has estimated her net worth in 2012 at $3.2 billion. 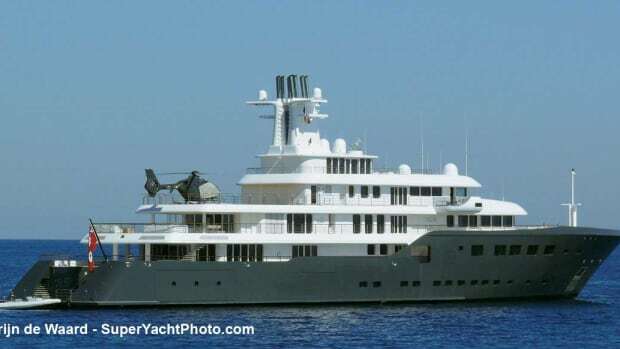 Heidi and her late husband Helmut Horten (who built the retail empire that she inherited) previously owned the spectacular Carinthia VI, now known as The One. 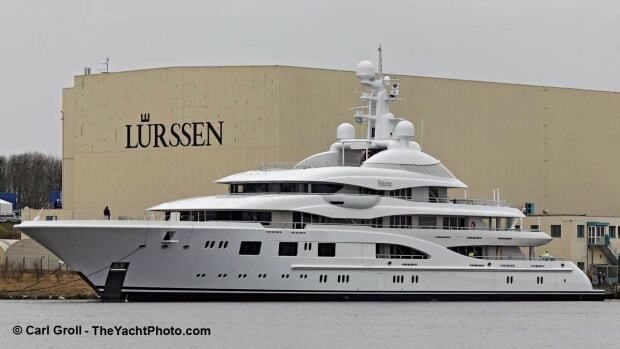 This is one of the Bannenberg-designed yachts that inspired many more.